Matt Poole submitted this photo. 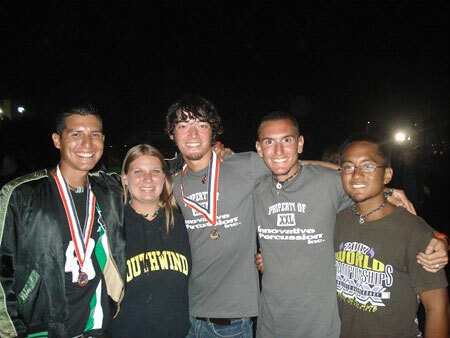 I marched as a member of Southwind during the summer of 2007 along with four others from my school. All of us are in the drum line at Tyler Junior College in Tyler, Texas. In the photo: Justin Arenas (Cavaliers), Nicole Bullard (Southwind), Jeremiah Salisbury (Bluecoats), Matt Poole (Southwind), J.P. Gagaza (Southwind).